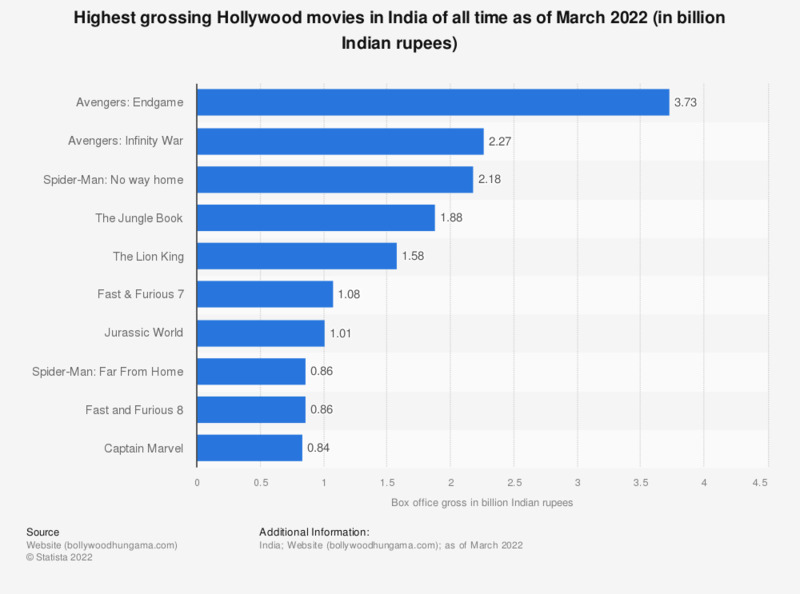 This statistic provides information on the highest grossing Hollywood movie productions of all time in India as of July 2016. The movie "The Jungle Book" ranked first with a collection in India of almost 184 million Indian rupees. On the date of publication, the exchange rate was 1.00 USD (United States Dollar) = 67.45 INR (Indian Rupee).